You’ve got a camera on your iPad, but come on, do you really like taking photos with it? That’s what your iPhone is for, not your bulky iPad. So, the addition of an iPhone app to Autodesk’s 123D Catch is a huge usability improvement. Previously, the program was available only on camera-enabled iPad’s, the PC, and as a web app. 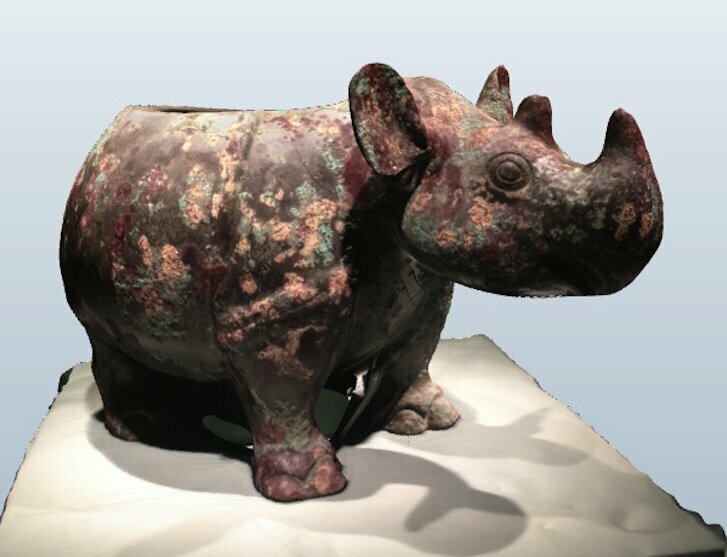 The 123D Catch app lets you to take photos of an object and assembles them into a 3D image of the original subject. You take about 20 – 40 photos of the subject from different angles and then have the app upload the images to the Autodesk cloud where it turns them into a 3D model. You can move this image around, zooming in and out of any area. The whole process takes just minutes to render. From there, you can share it with the 123D community and if you like, have the model 3D printed and delivered to you. The great thing about finally having this on the iPhone is obvious. Not only is shooting with an iPhone easier for your planned photo shoots, but since you’ve always got your iPhone in your pocket or purse, you’ll be ready for spontaneous captures as well. Think about it–you’re out for a walk and you see a sculpture you like–snap, snap, snap; you see an interesting face on someone you’d like to capture–snap, snap, snap; anything you see and want to have in 3D: snap it. Within minutes you have a 3D model of your subject in the cloud. The 123D Catch app is free, so there is no reason not to head over to the App store and download it. You’ll need an iPhone 4/4S (and I assume it will work on the iPhone 5), or camera-enabled iPad. There’s also web app and the PC version where you can manually upload your images. IOS 5.0 or later is required.